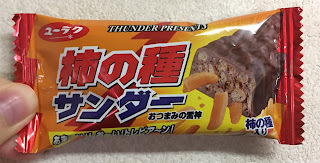 On March 6, 2017, some conbini pre-launched "Kakinotane Thunder." 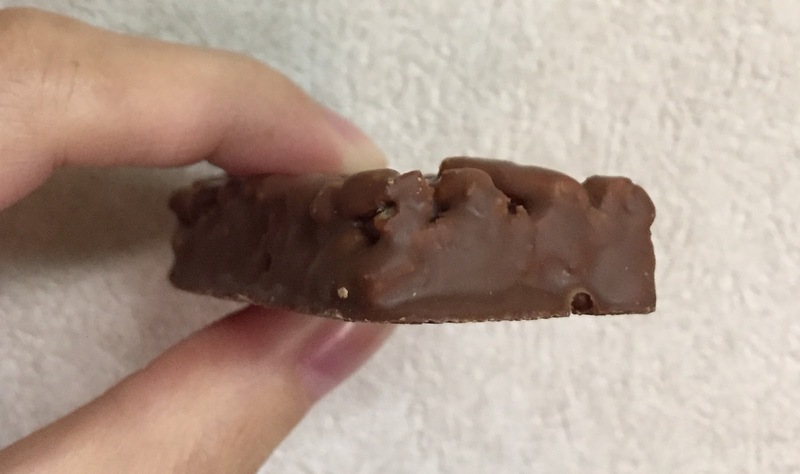 Kakinotane is a rice cracker coated with lightly spicy soy sauce and often mixed with peanuts. 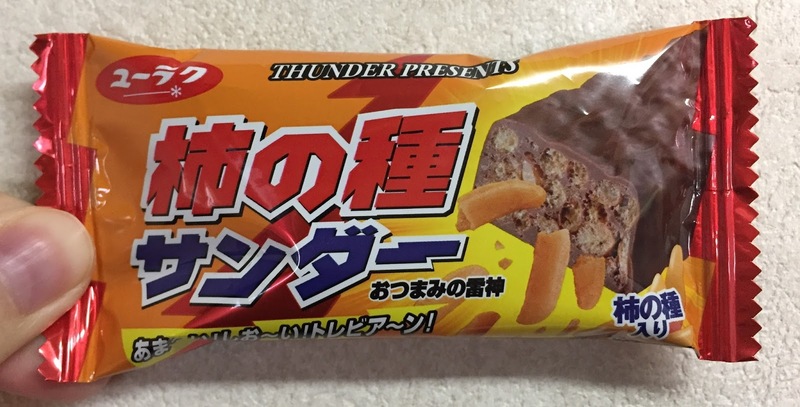 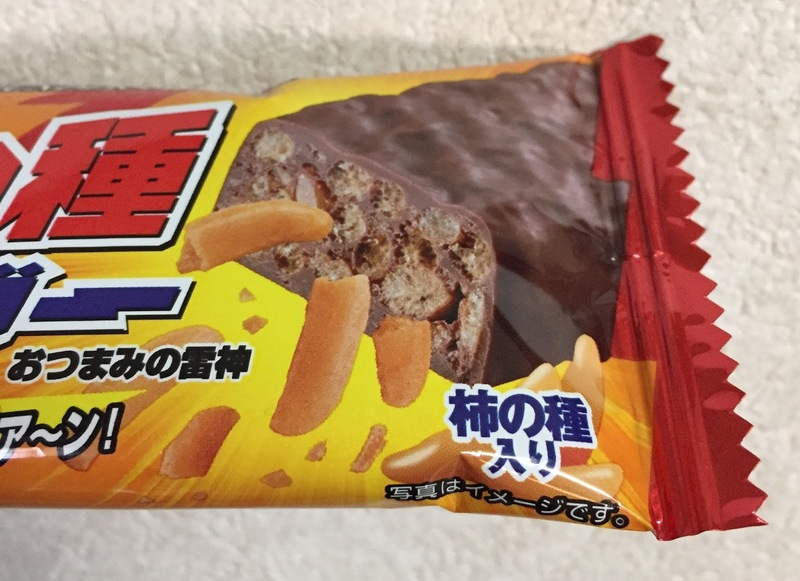 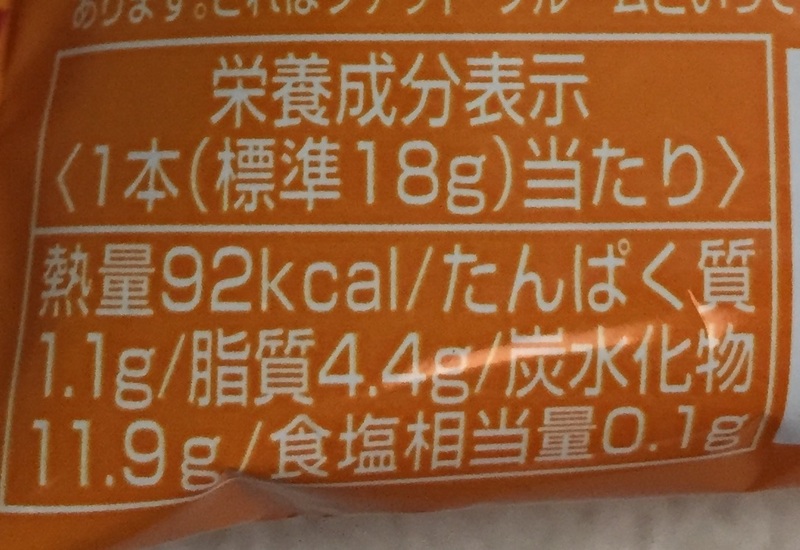 The subhead says, "Otsumami No Raijin (おつまみの雷神, Raijin of nibbles)" because Kakinotane is one of the popular snacks and nibbles. "With Kakinotane," and the orange pieces are Kakinotane rice crackers. 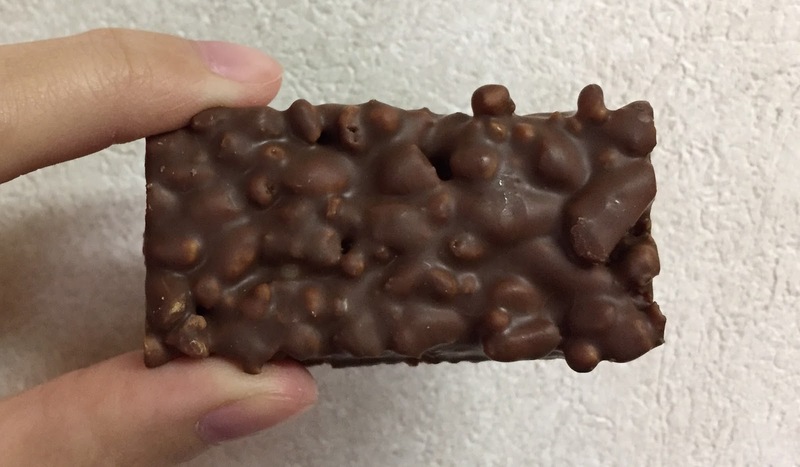 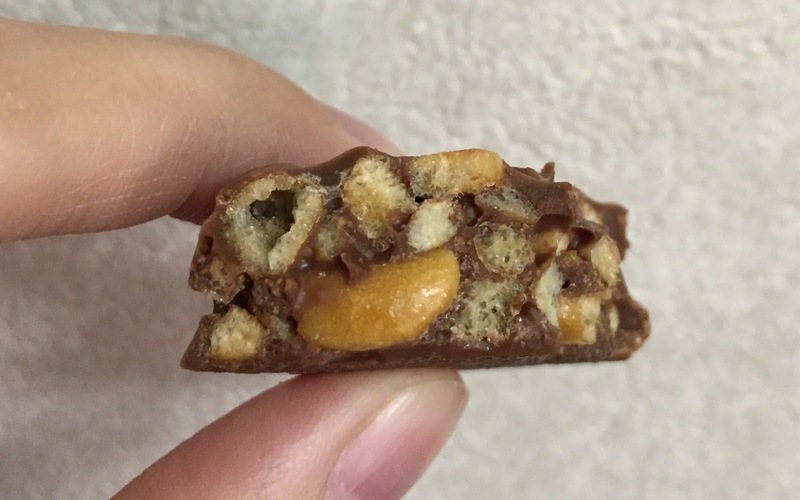 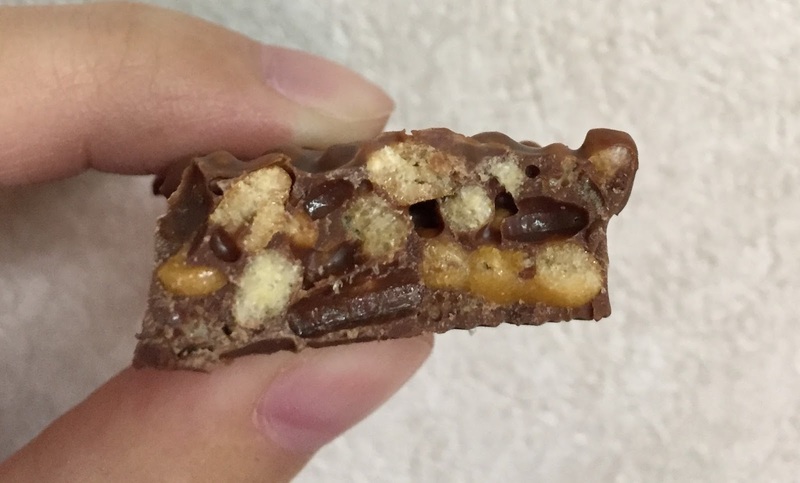 It looked like a normal rough-surfaced chocolate snack. 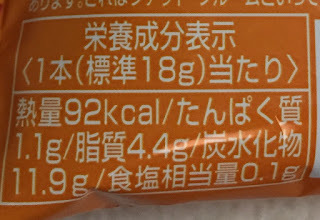 There're lots of light textured rice puffs and salty-spicy Kakinotane that are crunchy. 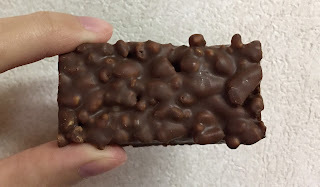 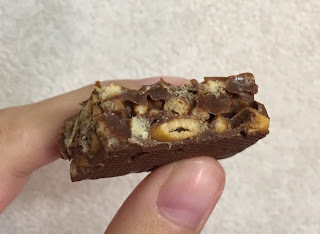 I've had chocolate covered Kakinotane before so that the salty and sweet-chocolate combination wasn't new and it tasted exactly what I thought of. 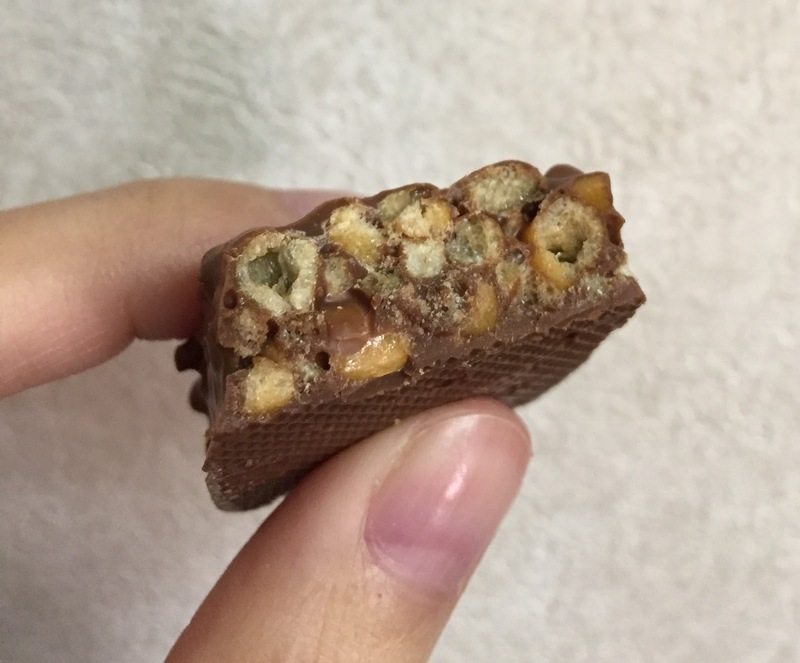 I enjoyed the sweetness first and crunchy and salty Kakinotane afterwards in my mouth.